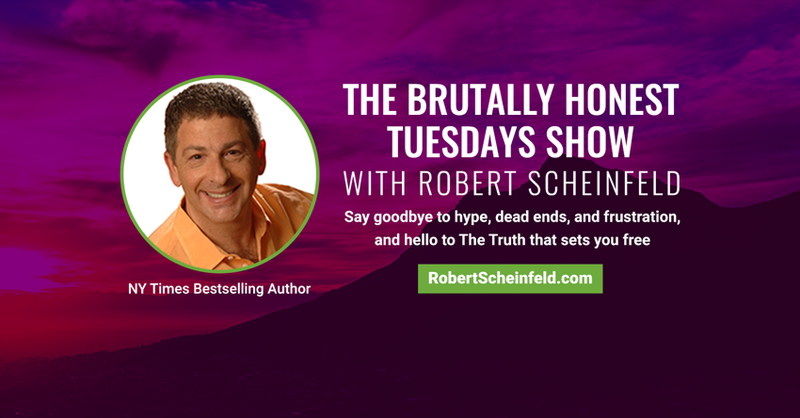 Brutally Honest Tuesdays began as a live show that streamed every Tuesday. I did 14 episosdes that way. Then my travel and speaking schedule made it impossible to do it every week, so now I live stream the show whenever I feel moved to, on an irregular basis. Are you frustrated you still aren’t living “The Life of Your Dreams,” even after reading all the books, taking all the seminars, using all the “latest” techniques and getting coaching? If your answer is “Yes!” (drum roll please), you’re going to love, love, love the show! Warning: Be prepared for some brutal honesty about the lies, illusions and stories that are keeping you blocked, and The Truth that will set you free. Consider yourself officially invited to join me! I’ll be there to share, answer your questions, and respond to your comments. I’ll also be there 10 minutes early to chat with you casually before the show officially begins. Forces that, odds are, no one ever told you about before. From that Page, you can watch the live episodes, share comments and ask questions. From that page, you can watch the episodes, share comments and ask questions. From my YouTube Channel, you can watch the episodes, share comments and ask questions.